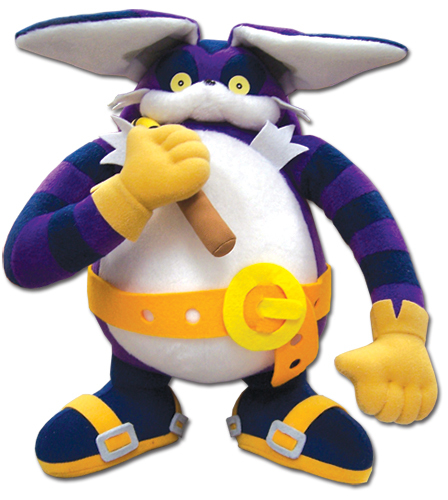 GE Entertainment have been on a roll lately with their plush lines, as well as being the first company to make a plush on Jet The Hawk, they’ve also produced Rouge, Chaos Zero and Classic Robotnik. Well, it looks like Big & Espio are up next. Both these characters haven’t had much love when it comes to plush lines, Jazwares didn’t put their Big plush into production, fans now have to rely on finding a Sonic Adventure era plush for big which is kinda pricey. Espio is even worse, he was only released in the Sonic the Fighters plush line. But now, both these characters will get a new plush incarnation thanks to GE. No details on release yet, but no doubt it’ll be coming out very soon since GE usually lists their products very close to release. How can you get one? Ebay and Amazon sellers are the most likely candidates.